Here you will find new product information, industry updates, comments and suggestions on all things AV, presentation, audio-video conferencing wise as well as general life-lessons learned and comments that affect our daily lives and business. 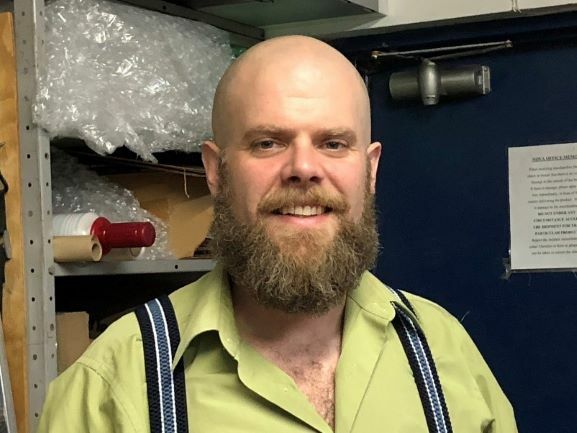 When one of our installers decided to leave last April to pursue his theatrical dreams, it forced us for the first time in ten years to look for a new employee. What I learned is – they are hard to come by. I also learned a lot of people want to be designers, programmers, project managers, anything but installers. The other thing I also learned was, the only company that seems to be making money from the lack of talent in the AV industry these days are the job posting sites…particularly INDEED. Never being a company to follow, we were reluctant to jump-on board and be yet another AV company looking for talent on an already overcrowded job site. We decided instead that old fashion word of mouth – soliciting without paying to be listed with all the rest – using free-lance installers and offering trial periods to others was the way to go, until we found the right person. 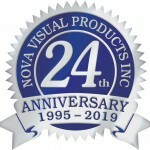 After all, customer service and support has been paramount to our success here at Nova Visual Products for the past twenty-four years we’ve been in business. Clients who engage with us on a consistent basis do so because of it. The level of support everyone here at NVP offers clients is simply because it is our natural-instinct in wanting to help\treat clients the way we would want to be treated, if we were the customer. We wanted to ensure whoever our next installer was going to be, not only to be a good fit with us, but with our clients too. That’s why it has taken until now to find the right person to join the NVP team, but the wait has been worth it. And how did we find our new installer? Word of mouth. It was our very own Dave Rothwell who made, the suggestion and we’re glad we listened. 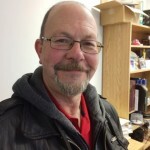 Our new installer is Mike Mitchener. Thirty-six years old, married, skilled in construction trades, technically-knowledgeable in nautical marine equipment sales, Mike was looking for a new challenge too. 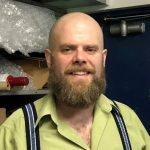 So, while Kim and I were away for a week this past January, Mike joined our other techs on a few of installations and the feedback was positive. How positive? Guy Parent, our manager of technical services was pleased. So that was a good sign. Anyone who knows Guy can attest to his high standards and technical acumen. If he was suitably impressed, with Mike’s installation abilities, we felt we were on the right track. But we wanted to make sure. So, for the next few weeks Mike continued to assist on installs. Then on February 22, we offered Mike the fulltime position of installer here at Nova Visual Products. Mike’s addition to our technical department restores us to the level of customer support we are known for. And his carpentry skills, adds another layer of competence, when custom fabricating solutions for our clients. Eager to learn, confident and capable in his abilities we look forward to having Mike engage with our clients. We welcome Mike to Team Nova and look forward to watching him grow in this crazy industry of ours. Here’s Mike’s contact info. m.mitchener@novavisual.ca cell: 613 218 6874. Nova Visual Products will always entertain the idea of adding other talented professionals to our lineup. Whoever that next person might be, whether it’s another installer, a salesperson, an IT expert, an administrative type, that person will come to us word of mouth. After all you just can’t get the same thing from a website, no matter how many jobs you post. That’s what this whole job-search has taught me indeed. FSRs Huddle BLOX™ tables from Nova Visual Products are the perfect solution for those in need of charging stations. Practical sizes, makes these FSR Huddle BLOX™ charging stations ideal when you don’t have a lot of room to spare. The FSR large Huddle BLOX™, measures in at a mere 21” x 21” x 21”. The FSR small Huddle BLOX™ is only 21”x 13”x 21.” And the price won’t bust the budget either! A great addition to any office, library, retail, public space – everywhere charging is needed FSR Huddle BLOX™ works. The multi-use top is perfect for one-on-one meetings, study groups, or public spaces wanting to provide charging capabilities for clients, visitors and staff. FSRs TC-WC1 wireless charger is compatible with all Qi standard devices. It also has the ability to fast charge any Samsung device with wireless adaptive fast charging as long as the unit is powered by an adaptive fast charge power supply. These sturdy charging stations are available in two sizes and the finishes include Black, White and Maple. Save $100.00 NOW on any FSR Huddle BLOX™ purchased between now and September 28, 2018. FSR Huddle BLOX small $625.00, (tax extra). Price includes shipping-setup in your office. FSR Huddle BLOX large $725.00, (tax extra). Price includes shipping-setup in your office. Please contact Mike St Louis for additional information or to place your order today! $15,995.00 + hst = $18,074.35! Price includes delivery and recycling fees. Click on the link to see our Super Demo Deals!! Join us in congratulating Christine Charron and Dave Rothwell on their 15th Anniversary here at Nova Visual Products, (January 21, 2002, – January 21, 2017). A true rarity these days, especially in our industry that’s seen so many personnel changes over the past several years. That’s why we can say with confidence that Nova Visual Products has the longest assembled team of AV professionals in Ottawa, (if not the entire Country) working today. 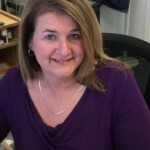 Since 2002, Christine Charron has been the first voice you hear when you call for Nova Visual Products AV EXPERTISE! Whether it’s to book an installation date, check delivery of your order, confirm a price, or set up a repair service call, it’s Christine that gets it done each day for our clients. Always prompt, always here, always reliable Christine exemplifies what customer service means to Nova Visual Products. 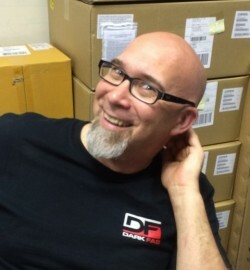 Dave Rothwell, hired on the same day, had a ton of experience before joining Nova Visual Products in 2002. 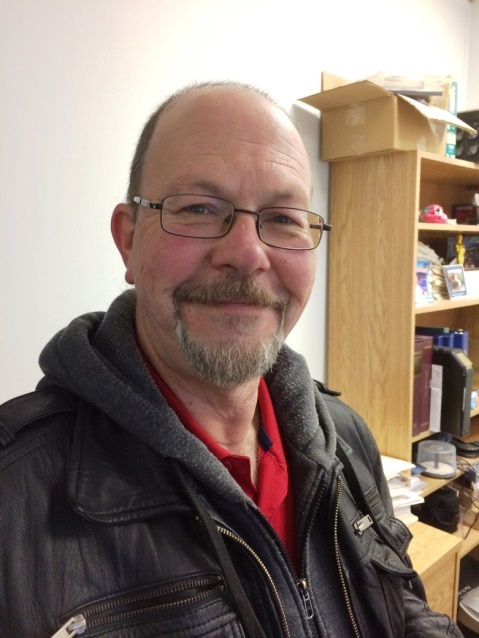 Originally hired for his repair abilities, Dave has saved our client’s money either by fixing or recommending you don’t, and allows us continue to offer after sales service that is simply unparalleled by any other AV reseller in Ottawa. Always in a good mood, always willing to take the time to listen –share a joke or two, Dave’s laid back approach to customer satisfaction and respect for all, is simply timeless. I’ve said it before it’s like ground-hog day around here. And while that may not be exciting to some, it makes for more consistent reliable service for our clients, our suppliers, and all of us here at Nova Visual Products. So ya, we’re celebrating for sure, and wanted everyone to know why. Thanks Christine and Dave, we really appreciate your dedication, commitment and loyalty to NVP and our clients who depend on you every day. Join us in congratulating Guy Parent on his 15th Anniversary here at Nova Visual Products, (July 23, 2001 – July 23, 2016). Certainly an achievement in any industry these days, and one that should not go unrecognized. Guy’s commitment to our client’s satisfaction is one of the major contributing factors that have made Nova Visual Products the success we are today. And for that we say thanks Guy! We like to joke at Nova Visual Products that it’s like ground-hog day around here. Not much changes from day-to-day as we carry-out our daily routines. Still focused on saving our clients time, money and frustration on any project in need of our AV expertise, Guy’s experience and factory training has allowed us to deliver consistent-proven solutions day in and day out for clients choosing to partner with us. His willingness to listen to client’s requirements, ability to present optional solutions, clearly laying out the pros & cons of each one, and always offering honest-experienced reasoning gives our clients confidence in knowing we have their best interests in mind. Guy, along with his co-workers at Nova Visual Products is the longest team of AV professionals in Ottawa, (if not the entire Country) assembled and working today. It is because of this familiarity of practices and procedures between ourselves that we can respond to our client’s in a concise and timely fashion. There is never any doubt that Guy can solve & satisfy any requirement – as we know firsthand just how seriously he takes his responsibilities here at Nova Visual Products and to our most important assets, you – our clients. Factory trained and certified, headed off for more training in the fall to increase his Crestron programming expertise. Here’s to another fifteen years…one day at a time. Again congrats, Guy, and thanks for your commitment and dedication to all of here at Nova Visual Products. 2018 will mark our 23rd year in business, and we want to ensure you have every opportunity to stay engaged with us. I am contacting you to find out if you are still involved with the types of products and services Nova Visual Products offers, or if someone else has taken over these duties and responsibilities. Established in 1995, Nova Visual Products is a locally owned and operated Commercial Audio-Visual Systems Integrator, of reliable AVpresentation, video\audio conferencing equipment. We consult, we design, we supply, we install, we train, we maintain, and we provide after sales servicing of cost effective solutions, tailored to your individual needs. Kim St Louis making sure your orders and all other paperwork gets processed in a timely fashion since 1996. Guy Parent designer, programmer, and lead installer since 2001. 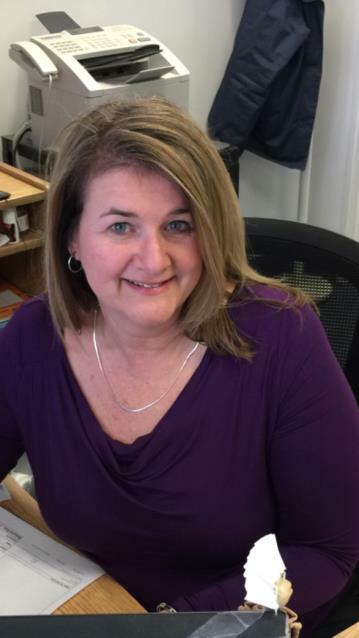 Christine Charron administrative director and usually the first voice you hear when you call Nova Visual Products since 2002. Dave Rothwell repair technician, installer, designer, since 2002. Joshua St. Louis sales, since 2009. And myself, who has been in the Ottawa AV industry since 1983. We are available to service any type of AV presentation video-audio conferencing equipment your currently own. We de-install existing systems that need to be moved. We evaluate the components and advice how best to use your older equipment with the new digital media available today in an effort to keeping your costs down. We re-install once you’re ready to go, and guarantee our labour, parts and materials for one full year. We also offer a wide range of consumable products such as projector lamps, cables and connectors for computer, video- audio equipment, as well as rentals of equipment and technical personnel for daily, weekly, annual events. Please let me know if you are still involved with these types of products and services, or if I should be contacting someone else. While the name Qomo may not be as recognizable as others, their products will soon have you forgetting those other brands you commonly think of for, interactive multi-touch LED displays, wireless presentation devices, wireless interactive writing tablets, disability-compliant display mounts, document cameras, and audience response systems. Have a look at the specs attached and visit www.qomo.com for additional information and products. If you have any interest, or want to test any at your facility, let me know and I’ll arrange it. Qomo Quest-Line of Interactive LED Multi-Touch Displays. – 4K (84inch size only), 1080p. – Best connectivity in class. – Full-featured professional annotation software. Quest65-Pro 65″ multi-touch display unit: $5,745.00. Quest70-Pro 70″ multi-touch display unit: $7,245.00. Quest84-Pro 84″ multi-touch display unit: $15,995.00. Write, draw and annotate over any running application. Works with Doc Cam, Camcorder, and firewire equipment to annotate on live video. Directly write into Office (Word/Excel/PowerPoint) files. Full featured object management tool (copy/paste/rotate/zooming/color changing) available. Thumbnail review capability enables you quickly to find any marked slides. Image library with over 5000 images available. Electromagnetic grip pen can function as a mouse. Intuitive and user-friendly graphic based interface allows quick learning and mastering. QIT300 is 4:3 Aspect Ratio: $1,265.00. QIT500 is 16:10 Aspect Ratio: $1,635.00. Qomo disability-compliant display mounts -Balance Box mounts. Fits on any interactive touch screen or monitor giving 16″ of vertical movement. The Balance Box has a patented spring system that neutralizes gravity for effortless vertical movement. The result is a fast, safe, and easy movement of any LCD or LED screen. Innovative cell-phone like design and vibrant, full color LCD display is engaging to students and teachers alike. It can be used wirelessly in a lecture hall, or leave the computer in the classroom and use the clickers out in the field to send and store information. The QRF900-series allows for alpha-numeric and text inputs. Responders can key in short text answers along with numeric answers, or a combination of both. The full color, 1.7 inch display shows on-screen text for quizzes. This means students can see the question right on their QRF900. QRF932 system: Includes 32 Radio Frequency student remotes, 1 teacher remote, and 1 receiver. $2,095.00. If you have any questions or want to test any Qomo product at your facility contact Mike St. Louis. If you have any other projects in need of our AV EXPERTISE, please do not hesitate to contact me. The MUSE transmits video, RS-232\IR signals and AC power, up to 300ft (90m) over a single unshielded AWG-23 CAT-6 cable to LCD displays, (150watts max). The MUSE allows installation of video displays where no AC power exists. The MUSE is fully compliant with HDMI/HDCP standards and is UL listed.